Think Italy is the only country that makes incredible supercars? German automakers have time and again engineered and built some of the all-time greatest. Italy is the home of supercar brands like Ferrari and Lamborghini, but it&apos;s important not to forget that Germany has also been a big contributor to the supercar segment. In fact, Germany has for years challenged the Italians as to who can build the best all-around supercar. 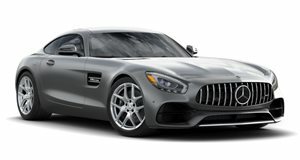 With superior engineering and manufacturing capabilities, German automakers big and small have created some true game-changers in the high-performance strata. So we&apos;ve put together a list of some of the finest examples of German supercars. As the spiritual successor the classic Mercedes-Benz 300 SL Gullwing, the SLS AMG debuted in 2010 and it was an instant classic from day one. Powered by a 6.2-liter V8 that was recently upgraded to 583 horsepower in GT form, the SLS is as at home serving as a comfortable daily driver as it is to tearing up the asphalt on the track. With its long hood and short rear deck, the car is designed to look fast even standing still. Its trademark gullwing doors and retro styling make it stand out from the crowd of hyper-modern supercars, but its engineering makes the SLS AMG one of the best cars Mercedes has built in decades. BMW shocked the world when it unveiled the M1 in 1978 . Originally developed in coordination with Lamborghini, BMW took over the project entirely due to the former&apos;s tough financial situation. Power was provided by a 3.5-liter six-cylinder mounted amidship, the only mass-produced BMW to have this setup. It produced a total of 273 horsepower and reached a top speed of 160 mph. But that was only the street version. The exotic Bimmer also took part in motorsports as the M1 Procar, its turbocharged engine pumping out as much as 850 hp. Just 456 of these Giugiaro-designed gems were built when production ended in 1981. Audi has a rich history in motorsports, but when it unveiled the R8 in 2006, it forever changed the definition of what a supercar could be. Instead of the fidgety handling of the high-performance machines produced by smaller manufacturers, the R8 can be a lion on the track and a lamb on the street. 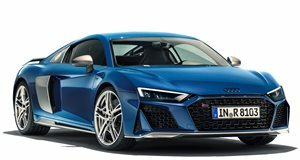 The standard R8 is powered by a 4.2-liter V8, but buyers can upgrade to the 5.2-liter V10, with outputs of 430 and 525 horsepower, respectively. No matter the engine, though, owners are treated to an interior only Audi could build, along with world-class performance all wrapped up in a mid-engined exotic that not only looks the part, but delivers the goods, too. Back in 2004, Porsche launched the Carrera GT, a mid-engined German rocket that even today remains at the top of many lists of all-time greatest supercars. Its high-revving, racing-derived 5.7-liter V10 produced a mind-blowing 612 horsepower and 435 lb-ft of torque, giving the Carrera GT a 0-60 time of 3.6 seconds and a top speed of 205 mph. All that in a shape that made contemporary supercars look awkward, with a removable roof panel for open-air driving. Just 1,270 were made in its three years of production. With the new 918 Spyder arriving later this year, the Carrera GT will be remembered as Porsche&apos;s only naturally-aspirated supercar. Some have called it ugly, but for others its outright power output more than makes up for its not so pretty appearance. The Gumpert Apollo is the pet project of former Audi manager Roland Gumpert, who was a major driving force in Audi&apos;s Quattro all-wheel drive development. Unveiled in 2005 and powered by an Audi-sourced twin-turbo V8, Apollo buyers could opt for three different engine versions, ranging in output from 641 to 789 horsepower. With a top speed of nearly 224 mph, it came with either fiberglass or carbon-fiber body panels. Moreover, its extreme aerodynamics produce enough downforce to drive upside-down in a tunnel at over 190 mph.